In the latest issue of the Fish Friers Reivew we take a trip over to Denmark and talk to Fairbrothers Fish & Chips Esbjergabout their journey into fish and chips, we feature a guide to running multiple fish and chip shops with The Good Catch Fish & Chip Shops and we catch up with recent training course students, Sarah Will of Chips ^n^ Things and Josh Ellis of Kirkhamgate Fisheries. We also introduce you to the Fresh Lobster Fish and Chip Shop owned by the The House of Bruar which is set on the historic Falls of Bruar and welcomes over 2 million guests a year. 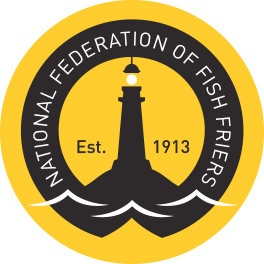 Finally we share with you who NFFF Director and owner of the The Fish Hoose, Colin Cromar, would choose to have dinner with if he could pick anybody!